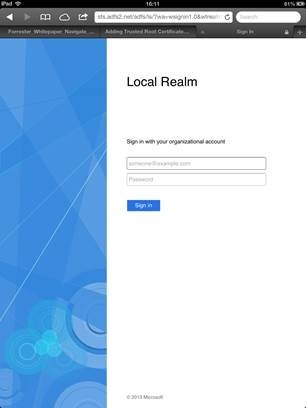 Our requirement is the password of domain users on ActiveSync using iPhone and other devices should be automatically synced when their domain password is changed on their laptops/desktops. As of now, this is a manual process and generates account lockout calls. I’m aware that our lockout threshold is low, but this was set to comply with PCI requirements. 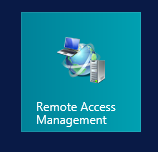 Is this requirement possible to achieve with the above new MFA feature in WS2012 R2? That’s a great question. This is not something that MFA solves right now but there are some alternatives. I’ll pop you a mail with details. So sorry I didn’t get back to you on this one. Completely missed it! 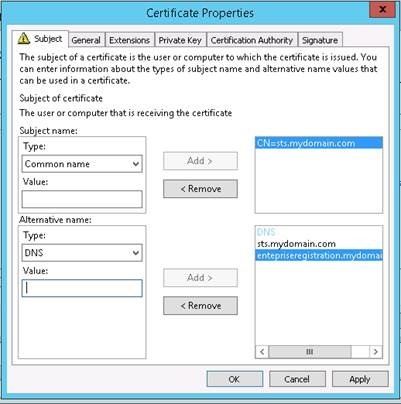 The enterpriseregistration auto-discovery needs to be Internet routable (i.e exist as an external DNS domain name) and needs to match he UPN suffix of the user. What I was alluding to in the article, poorly perhaps ;-), was that the actual AD forest name itself doesn’t have to be routable, just the UPN of the domain and the user suffix. Multiple UPN suffixes have been possible since AD FS 2.0 RU1 for Office 365 support, but I haven’t had a chance to test how this works for other RP applications. 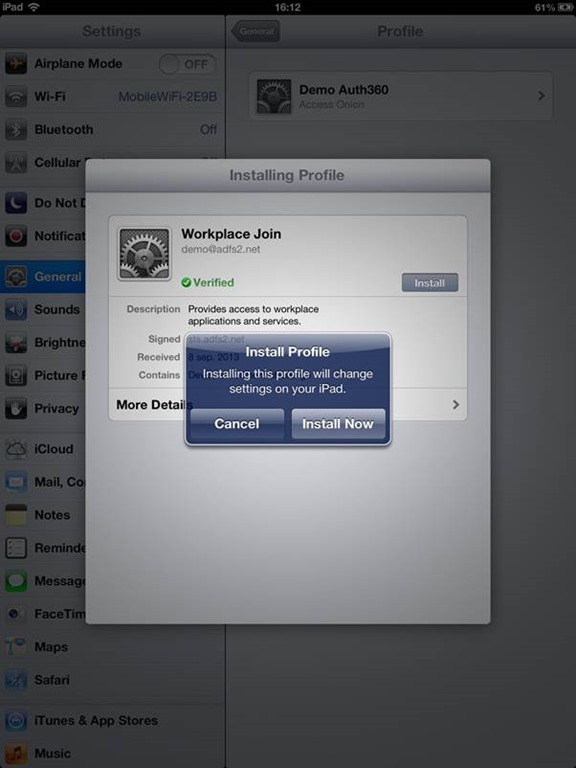 How to enable auditing in Workplace join, Suppose a system get connect to workplace join & system admin wants to audit it?? Does workplace join write event IDs?? Please help me out on this?? 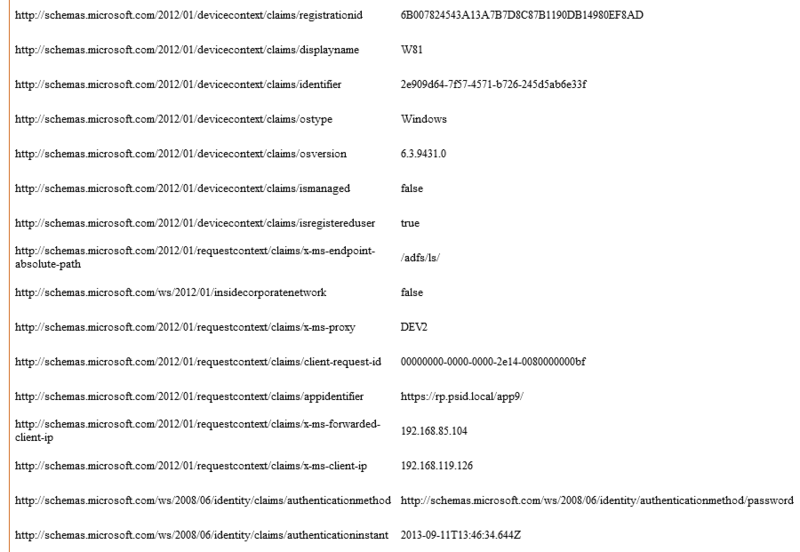 Authentication activities are written to the AD FS event log..
What are the event IDs workplace join generate? Does it generate, What BYOD device has accessed, How much data downloaded & uploaded?? Can we monitor it??? Really nice article with a lot of good details! 1. Do note that gMSA is not required to be the service account that ADFS runs on. 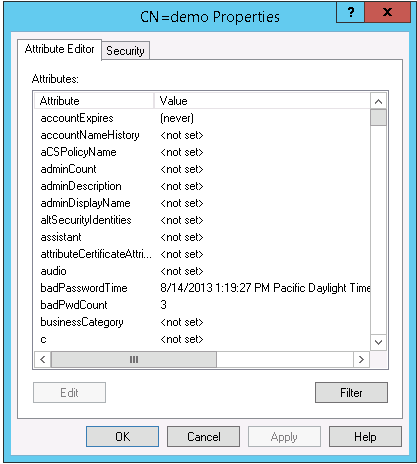 It is an additional optimization that is available to customers if they have Win2012 domain controllers available. 2. Also do note that the extranet lockout feature was also done with the view that customers with ADDS account lockout policies can prevent DOS attacks on specific user accounts by setting a threshold lower for the ADFS extranet lockout policy. This way the user still has internal access because ADDS has not locked out the user. Thanks very much! Kind words indeed coming from someone who played a big role in the making of this new release. I’ll update the article with your comments. Mylo, great post, just finding your site. I’m not sure how well this fits here… but do you happen to have any comments on how Azure MFA can be used in a DirectAccess deployment? Thanks! 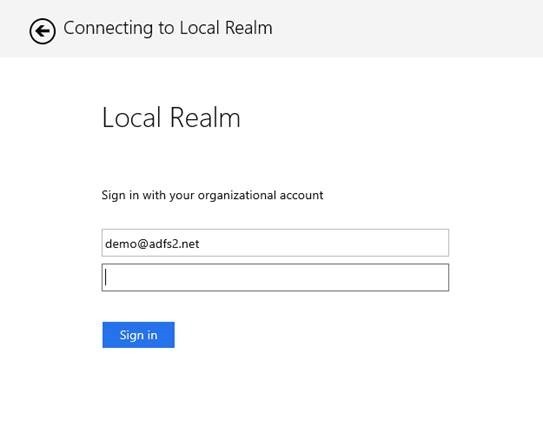 I’ve not had the chance to test DA integration with the Azure MFA product, but assuming you have the on-premise server, you might be able to integrate it via RADIUS/NAP for the user tunnel (for OTP). Alternatively, PointSharp through their MFA solution also have a credential provider (for) DirectAccess for OTP scenarios. 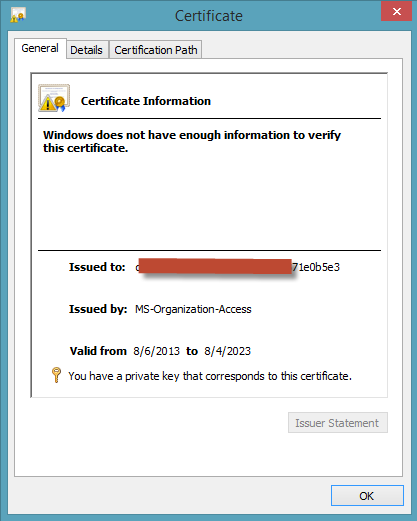 I’m trying to get a understanding on what type of certificate I can use on my WAP and ADFS if I want to support for example Workplace join (but also Intune, Workfolders). In my demo envirment I have different DNS name on the inside then in the outside so I have tested with an internal PKI like below: and this works but now i want to switch to a public certificate so I don’t have to install root certiticates manualy etc. Couple of newbie questions. I’m assuming the Extranet Soft Account Lockout feature is only available to those applications that are claims aware and are using ADFS? If was publishing Exchange resources with Kerberos pre-auth, or Lync with no pre-auth – would I be able to leverage that feature? Likewise, in what scenarios could I use the MFA to provide additional authorization checks before providing access….only with a claims aware app? 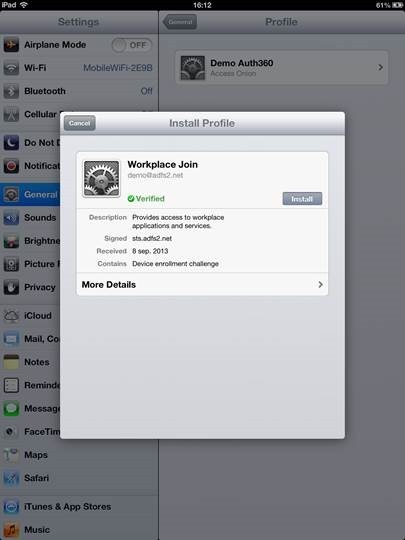 Could I for example do a workplace join of an iPad and then subject connectivity to SharePoint 2013 to an MFA check that validated the identity of the device before providing access? Thanks and great questions. 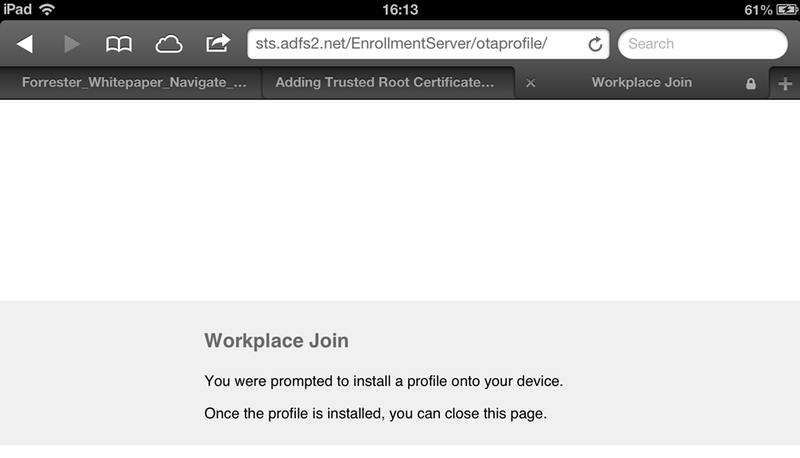 I’ve not tested the Extranet Soft Account Lockout yet with a non-claims aware web app, but will do. I believe soft lockout would apply to all applications being authenticated through AD FS including KCD applications, with KCD not being initiated to the application by the WAP until the user has successfully logged on. In other words, soft account lockout would apply. Reverse Proxy apps, of course, would not fall under that protection unless they were federated apps being protected by ADFS and the WAP. I’m covering MFA in Part 2, which I’m putting the finishing touches to. Hopefully, this will answer your questions. Hy Mylo, Thanks for sharing this detailed information! When will you post the other parts (Part 2 and Part 3)? Thx! Sorry for the delay! Part 2 is imminent. I’ll scrub up the mangled rule and update he article. Thanks for the great article, was searching for such an article that clarifies on additional authentication from a long time. 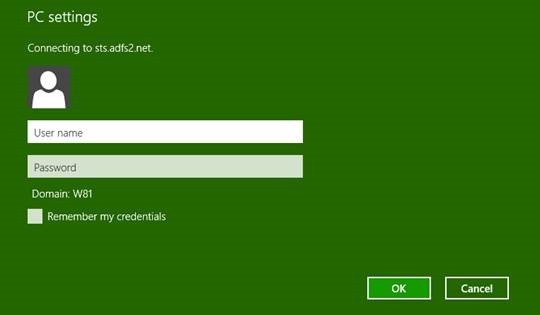 a) If cert based auth is enabled as 2FA, than external users will be asked for credentails only by FBA and cert based auth will authenticate using the cert mapped to user AD profile. I guess no PIN or additional information user need to provide? do I need to upgrade the domain & forest function level to 2008 or 2012? 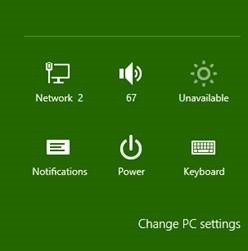 c) Workspace feature works only for Win 8.1 & iOS. Do you have any further if it is going to support Android & Win 7 devices? d) Device Regisration Service (DRS) in Windows server 2012 r2, to my understanding demands for Schema to be updated to Windows 2012. Therefore will my domain & forest function level needs to be changed? Also can adding an additional DC with Win2012 will work or do I need to upgrade all my DC to Win 2012 from Win 2008? (a) A quick answer.. yes 🙂 I’ll be posting something in the coming days concerning cert-based auth as an MFA approach. 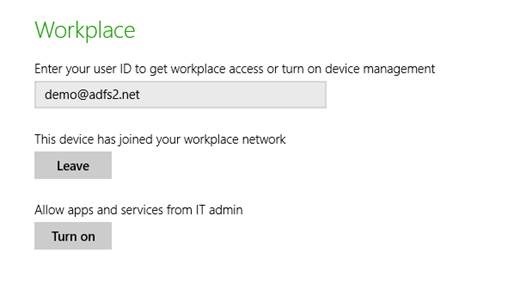 (c) Windows 7 (domain-joined) devices are now supported for workplace join. No news on Android devices. Thank you for the quick response and sorry for the delay from my side to respond. d: cant find much info on DRS, if you share more insight with respect to the limitation on the device it will support and can you elaborate “If you wish to support Managed Service Accounts then you’ll need Windows 2012 domain controllers” are you referring to GSMA? 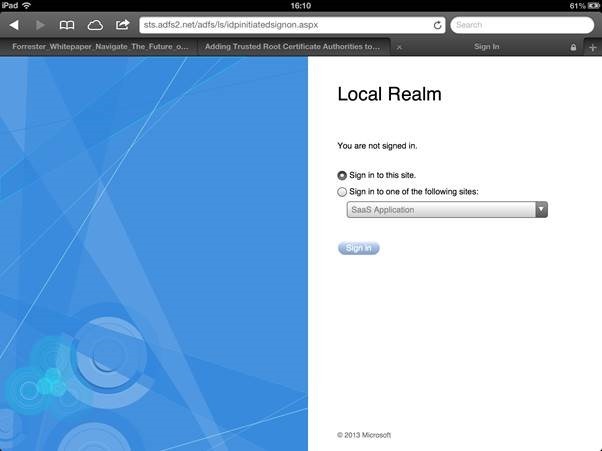 Thanks for that.. I’ll change the article regards the Domain functional level requirements for client cert auth.. I didn’t test at 2003 functional level so sorry for that mistake on my part. Regards your (d) question, yes I was referring to GSMA. Let me tell you , this is the best blog i can find to understand new features in ADFS 3.0. 2. Can we pass on website language explicitily which can be captured by ADFS 3.0 to serve the login page in that specific language. 2. 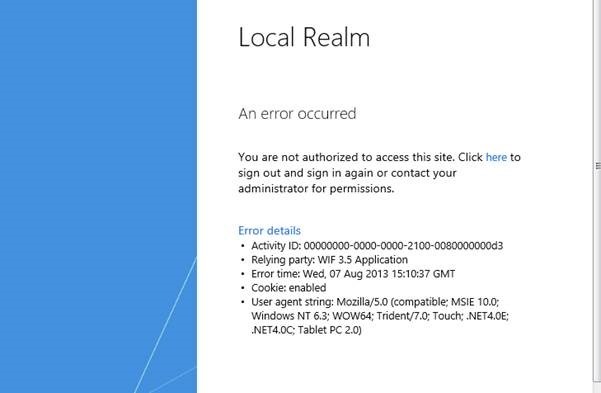 If the localization isn’t specified then it will revert to the default locale if memory serves me right. If I understand you right, you mean to overwrite the browser localization settings, hence the explicit comment? 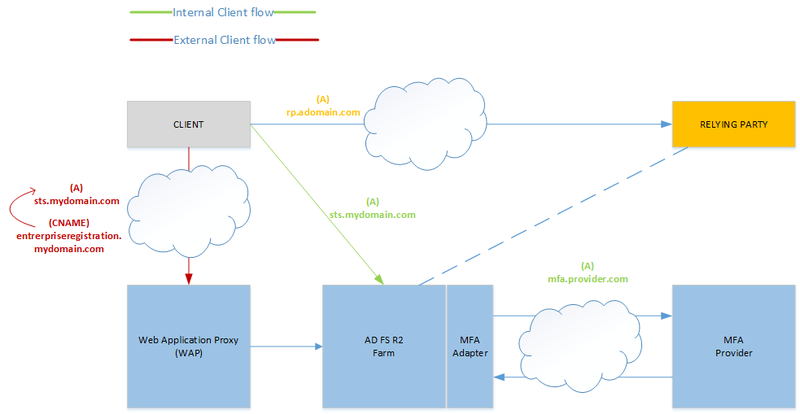 We have to integrate ADFS 3.0 with SAML 2.0 (service now)? will there be any compatibility issues that we might face? If so, what are the extra settings we need to do on ADFS 3.0 side to make this integration work? Most helpful. 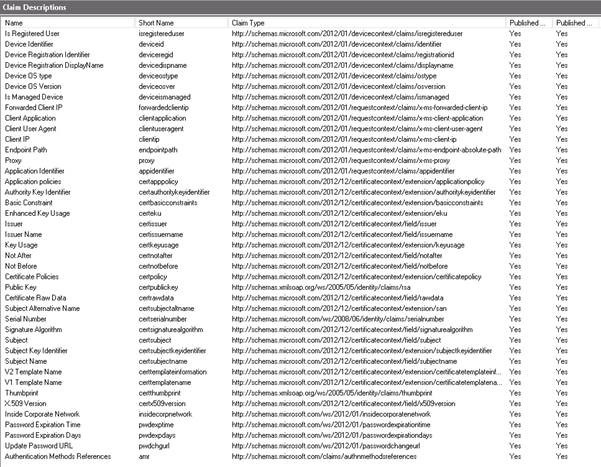 I don’t seem to have (or have lost) my device registration Relying Party Trust. How best to re-create it? 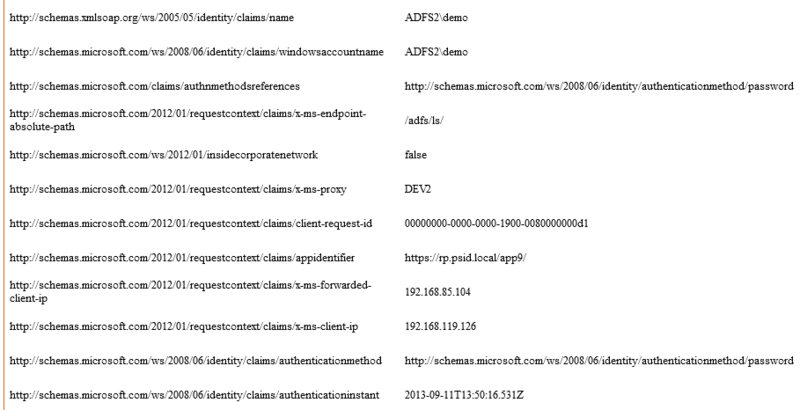 The article consists of output for a claims-aware web application as well as some event log descriptions. Which specific part of the article are you referring to? Thanks for the reply! 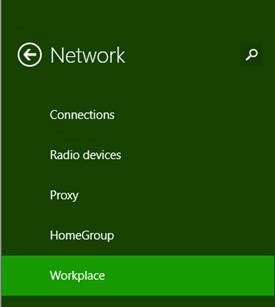 Under Workplace Join – Windows 8.1. First off, wow, great blog! I have a question about possible authentication syntax for forms based authentication in ADFS 3.0. Initially, we started out with the default syntax “domain\username” but I edited this to “username@domain”. Is it possible to simply use “username” without the domain identifiers? 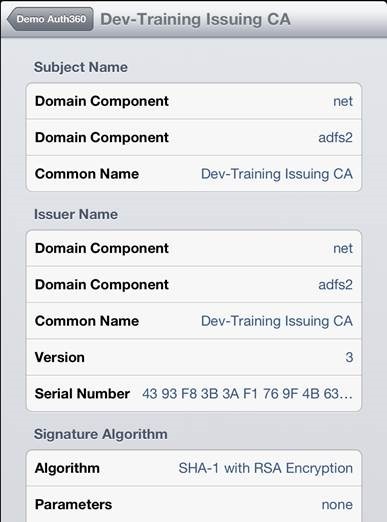 Our legacy ADFS 2.0 instance allows for “username” authentication without domain identifiers. Thanks again! 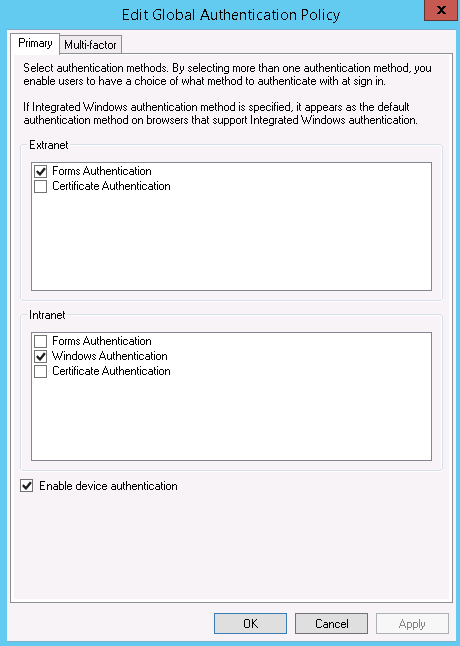 simple question, is possible to make the windows authentication option available for the Extranet users as it is for intranet users ? and how to do that ? 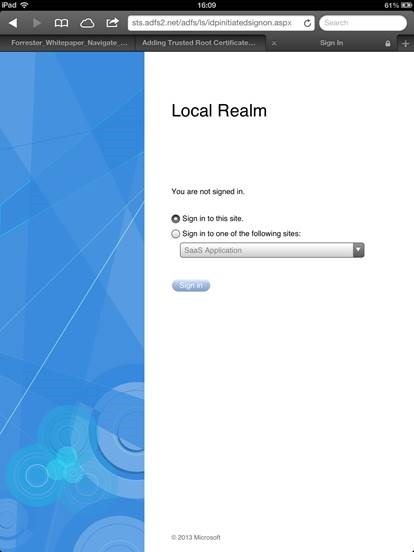 by default it is only available for intranet authentication in the global authentication policy. Great Post, In my search on the net I’ve not found a clear answer to my question about “Selective Authentication” under ADFS 2012 R2, Here is the question, For internal users who need access to claim aware applications, can we configure “Relying Party trust” that uses IWA for SSO and other RPs that use FBA all within the same ADFS 2012 R2 farm? I understand that there is a global authentication settings that we could adjust but not %100 sure if this global setting could be adjusted at individual RP level, so some will use IWA and some FBA. Hope this response doesn’t arrive too late. That’s a really good question. 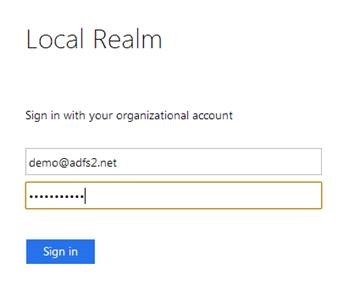 This was possible in the past when AD FS resided under IIS (AD FS 2.0), because we could customize the incoming request and identify what relying party it was intended for and flip the authentication accordingly. Sadly, this does not appear to be possible under AD FS 2012 R2, apart from scenarios where we can customize things such as User-Agent.